Your School Games - Inspiring Future Gymnasts! Today, our sport ambassadors and budding gymnasts were given a fantastic opportunity. 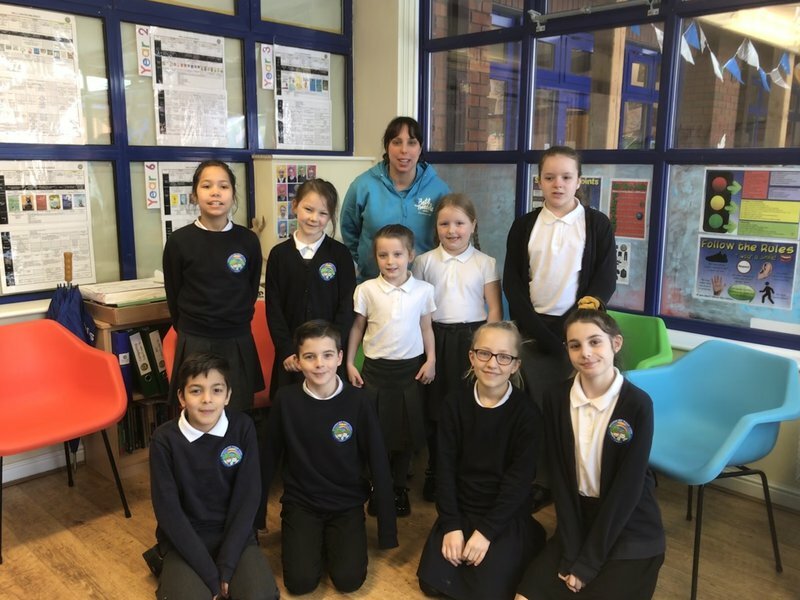 Our four sports ambassadors and five gymnasts gathered together to meet Beth Tweddle. There was a lot of excitement as they were told they could ask the Olympic bronze medalist some questions and have their photograph taken with her. Some of our gymnasts couldn't wait to find out about Beth's Olympic journey and we were all amazed at her level of dedication, passion and determination to the sport when they found out she started training to be a gymnast at the age of 7 and it took her 20 years to achieve her target of an Olympic medal. Amelia, Skye, Ruby and Freya all believe that if they can carry on with their gymnastics training one day they might be able to reach the Olympics too! The children loved hearing about Beth's journey and how she hopes her child will enjoy gymnastics as much as she did even if they don't end up competing at the same level. Callum says it was an interesting experience because it's not every day you get to ask a famous gymnast lots of questions. Beth told us that when she retired she decided to start coaching younger children and giving them the opportunity to learn new skills and confidence to be able to compete against other children. All of the children have said they loved having the opportunity to meet Beth and ask her some questions. Beth left our group of children with a final message of don't ever give up and anything is possible if you work hard and understand that somethings don't happen over night.